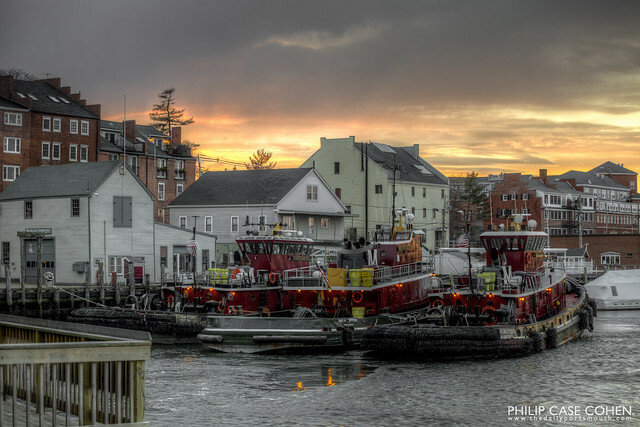 A dramatic sunset over the Moran Towing tugboats docked at their home in Portsmouth. I love when certain ingredients come together… no matter how many times I might visit a location, I never know what to expect for light, sky, etc. – but I know that the sun sets behind the buildings along Market Street, and I was happy to find a nice combination of late day light and clouds overhead.